End-to-end supply chain visibility empowers supply chain and logistics managers to make educated decisions. It helps companies to decrease the impact of disruptions on the supply chain by providing actionable data. Supply chain leaders recognize the importance of visibility as it streamlines operations, reduces business risk, increases efficiencies and enables better decision making and forecasting based on insights offered by real-time data. KPMG’s study reveals that the industry is expected to see a rapid growth of investment into technologies such as IoT to monitor, manage and improve the supply chain operations. When considering the fact that the key beneficiaries of visibility solutions are multiple business functions such as logistics, supply chain, finance, quality management and security the results of the study are not surprising. While the need for better supply chain visibility has been around for as long as there have been supply chains, the technological innovation that could serve as the enabler of this supply chain evolution was missing. Thankfully, by the ever increasing availability of IoT technologies, supply chain visibility can already be achieved today. IoT is on the rise towards restructuring the entire process by which supply chains operate. The power of IoT lies in intelligently connecting people, processes, data and things via devices and sensors creating a networked ecosystem of things continuously measuring, collecting and exchanging ‘live’ data. Supply chains benefit from live data as it provides unprecedented visibility into every process and transaction within the supply chain. 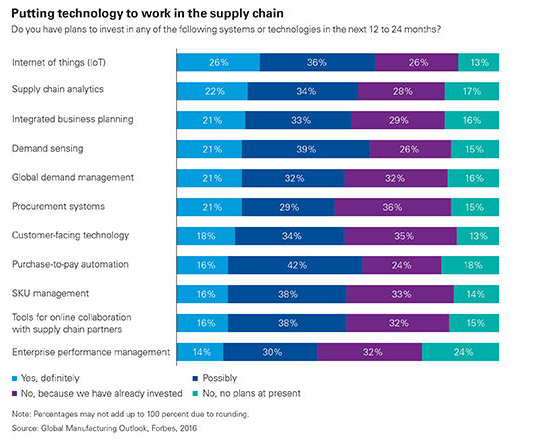 IoT enabled supply chain analytics dashboards provide opportunities for supply chain leaders to have better access to real-time data and transform today’s outdated supply chain structures and create the supply chains of the future that are hyperconnected, innovative, transparent and intelligent. Today the true visibility into the movement of goods is still minimal and mostly done via processes heavily dependent on phone calls and email communication. 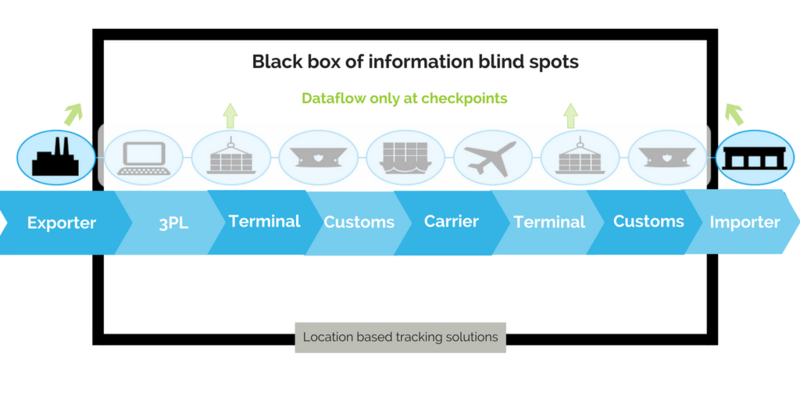 The traditional supply chain visibility concept is milestone-based, resulting in logistics blind spots for the shippers. Data about the status of assets is only recorded when goods reach certain checkpoints. In-between the checkpoints companies lack the visibility to know where their inventory is located, whether carriers are providing the right service levels, and where the bottlenecks and inefficiencies are in the supply chain. 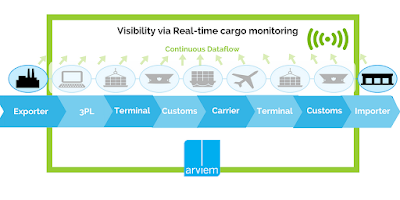 With the help of real-time cargo tracking and monitoring, companies can replace milestone based track and trace solutions and benefit from automated end-to-end in-transit visibility from the point of manufacture to the point of delivery. Real-time cargo tracking and monitoring offers capabilities that set exporters and importers apart from their competition. It connects intermodal shipping containers, cargo, vessels and trailers with enterprise IT systems via the use of sensors, GPS, mobile networks and a cloud based platform. The sensors capture and transmit signals and data to provide a closer picture of the condition, geographical location and environment of goods in transit. By having the possibility to access this data at any time from anywhere, supply chain leaders are empowered to take corrective actions and make fast and smart decisions when it comes to the unplanned, distracting events and delays in the supply chain. Monitoring the condition and the environment of shipments in real time allows clients to verify the whole journey of a product; predict, correct, and even prevent problems thanks to faster response time. Clients know whether their cargo has been tampered with, whether it has experienced any significant shocks or temperature fluctuations that might have negatively affected the quality of the product. Fully transparent supply chains allow companies to sense and respond to disruptions in the supply chains with extreme precision. 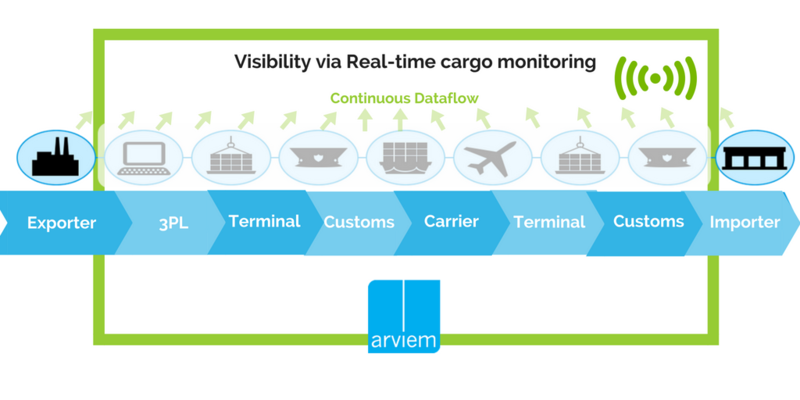 Thanks to the constant flow of data and insights provided by real-time cargo monitoring, companies are able to uncover the unknown, by revealing supply chain related issues. In-transit visibility creates vast opportunities for supply chain optimization. It reveals insights that enable logistics and supply chain professionals to optimize shipping routes by defining safe and optimal routes, to evaluate carrier performance levels against benchmarks, to analyze logistics carbon footprint, to improve security of cargo and to reduce business risk. This article originally appeared on the website of Arviem. To read more about cargo tracking and monitoring visit the company blog. Do you know where is your cargo and what is happening to it at this very moment? If not, get in touch with us to arrange an unbinding, free consultation to explore the possibilities of your business to increase supply chain visibility. Stefan Reidy is a leader, a proud father, a supply chain enthusiast and a visionary aiming to build the ‘Google of Trade’. 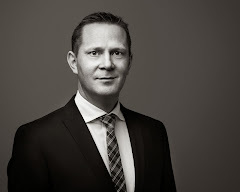 He is the CEO of the Swiss arviem AG, helping manufacturers, exporters and importers to make the invisible visible and the unknown known by enabling transparent global trade via real-time cargo monitoring services. Arviem's service provides clients with flexibility in managing their supply chains. While avoiding the costs of developing their own solution or the need to invest in devices, hardware, software and staff, clients improve their trade management and supply chain operations.